Proprietary Name: Neriumrx Acne Therapy What is the Proprietary Name? Non-Proprietary Name: Salicylic Acid 2.0% What is the Non-Proprietary Name? 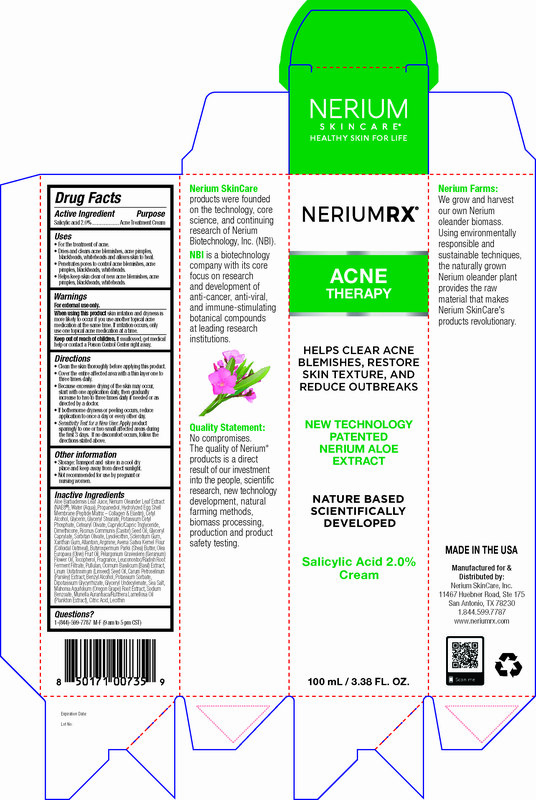 72216 - Nerium Skincare, Inc.
Neriumrx Acne Therapy with NDC 72216-226 is a a human over the counter drug product labeled by Nerium Skincare, Inc.. The generic name of Neriumrx Acne Therapy is salicylic acid 2.0%. The product's dosage form is cream and is administered via topical form. 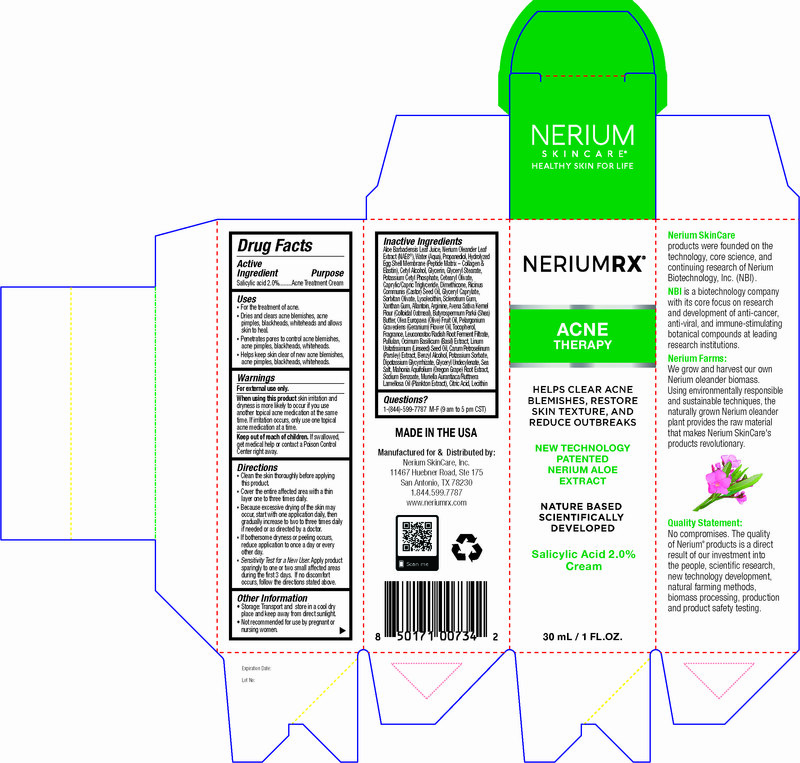 Labeler Name: Nerium Skincare, Inc.
• For the treatment of acne. • Dries and clears acne blemishes, acne pimples, blackheads, whiteheads and allows skin to heal. • Penetrates pores to control acne blemishes, acne pimples, blackheads, whiteheads. • Helps keep skin clear of new acne blemishes, acne pimples, blackheads, whiteheads. Sensitivity Test for a New User. Apply product sparingly to one or two small affected ares during the first 3 days. If no discomfort occurs, follow the directions stated above. Transport and store in a cool dry place and keep away from direct sunlight.